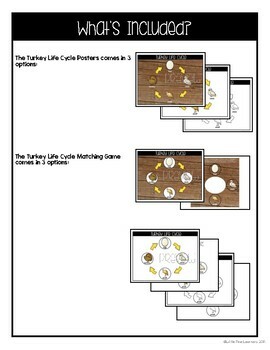 Looking for a fun way to teach the turkey life cycle and turkey anatomy to your students? 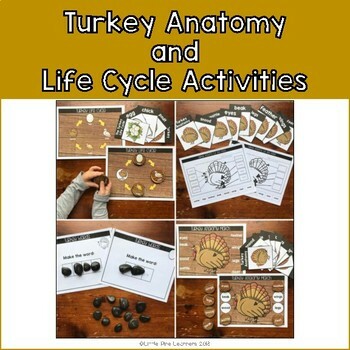 This product offers fun and hands-on ways for students to learn and explore the parts of a turkey and stages of the life cycle. 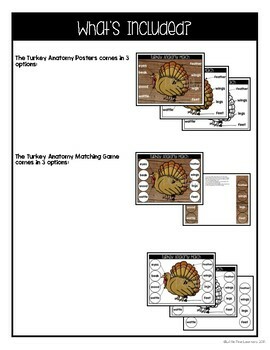 Beautiful posters, matching games, vocabulary cards, cut and paste activities, and turkey word building mats are all included in this packet! 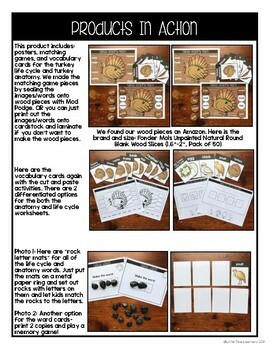 These activities are a great addition to a science center or nature table. Check out the Fall Nature Anatomy and Life Cycle Growing Bundle Here!